Invented at the end of the 19th century, slot machines have come a long way to become the games we play today. Can you believe that at one point you could win only bubble gums while spinning the reels? It sounds incredible today, but that’s how it was. Having been prohibited at the turn of the 20th century, the creators of slot machines found a way to continue providing players with their favourite form of entertainment by adding a gum vending machine to a slot machine. Today we can enjoy slot machines even without leaving the comfort of our homes or on the go if we prefer it that way. It has been less than a year since we published an article on virtual reality slots on our Blog and news on innovations from the online gaming industry keep coming. It seems that offering hefty prizes and multiple opportunities to win is not all that players want from slot machines. 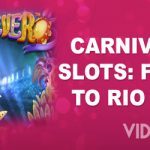 In this article, we will deal with new trends and what we can expect from video slots in the future. If you have been wondering why the market is so competitive when it comes to slot machines, you should know that they earn gaming operators about 70% of revenue. Slots are easy to play which contributes to their popularity and it’s all about sheer luck. However, in some parts of the world, the revenue coming from slot machines has been in decline, which may be one of the reasons why developers tend to provide more and more advanced games. A long time ago, a player would pull the lever of a one-armed bandit and have fun while aligning matching fruit symbols. The times have changed and with the web-based casinos, younger players start enjoying this form of entertainment. While developers have optimized their old releases for online and mobile play, they are under constant pressure to create more exciting titles that would keep you glued to the screen of your desktop or mobile device. That does not mean that old-school slot machines would vanish from the market, but it definitely means that more and more innovative games will hit the market in years to come. Just like mobile devices have made developers optimize their slots for mobile play, the introduction of new technologies will make them further improve their products. 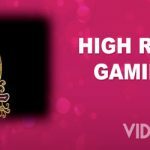 With virtual reality (VR) devices like Oculus Rift or Samsung Gear VR at hand, it comes as no surprise that today you can play VR slot games that will provide you with an immersive gaming experience. Max Quest by Betsoft – New Era in Gambling? One of the leading software providers in the online gaming industry Betsoft has recently set up an interactive augmented reality (AR) installation in Berlin’s Alexa Centre to promote their upcoming title Max Quest: Wrath of Ra. Announced as a game changer and due to release in September 2018, Max Quest combines the features of slot machines with a multiplayer shooting experience through role-playing. The action-packed game can be played by up to six players who will be on a quest to uncover the hidden treasures while fighting hordes of supernatural enemies, earning XP and entering leaderboard competitions. 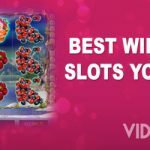 From what has been known so far, it seems that Betsoft has developed the first true skill-based online video slot. 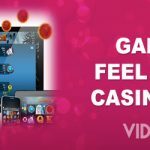 It is obvious that the developer tries to draw the attention of both slot enthusiasts and those who love playing video games. 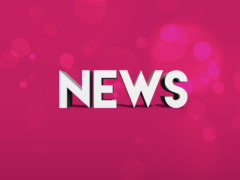 To manage that, Betsoft announced that the game would be showcased in a series of different social experiences including its first exposure to the public that provided the visitors of the shopping mall with a unique AR experience. They installed the augmented reality Magic Mirror thus encouraging passers-by to take a part in the virtual version of the upcoming slot game. Visitors had an opportunity to meet reanimated mummies and scarab beetles which will appear in an innovative game inspired by Ancient Egypt. Thanks to the AR technology, participants stood in front of a large screen streaming a live video feed of the plaza overlaid with game elements while their reactions were recorded. They could earn points by stamping on AR scarabs, collecting scattered treasures and fighting life-sized mummies appearing beside them. All other elements that were superimposed such as tomb walls, statues and sarcophagi also made them feel as if they are a part of the game’s setting. 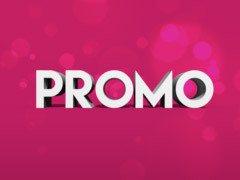 Judging from the campaign that follows the launch of the game, players can expect loads of excitement and a unique gaming experience. The social element of Max Quest will provide players with added value and take the gameplay to a whole new level. It’s hard to tell where the online gaming industry is heading to with all technology advancements at disposal, but one thing is for sure – there will be more and more exciting slot machines and it’s up to us if we would stick to the familiar or go for more intriguing releases. When it comes to functionality, slot machines that allow you to adjust the volatility level to your preference are already available on the market. It seems that in the future the gameplay and the outcome of spins will more depend on players’ choices, which is a leap when compared to pulling the lever or pushing the Spin button. If you like slot machines that use the elements of video games, you can try the games like Poke the Guy or Mega Money Rush that defy standard slot structures and rules. They may not be everyone’s cup of tea, but they are certainly a fresh breath of air. Play Poke the Guy and Mega Money Rush at Mr Green Casino!